When vacationers start searching destinations for their family get-away, safety ranks high on the list of priorities. With drug cartel border violence prevalent in mainstream USA news media, it is easy to see why some might question travel to Mexico. The small, yet bustling village of Sayulita located far from the border, is just that - small, charming and very popular with tourists. Although growing rapidly in popularity on an international scale, Sayulita, Mexico is still a amall town with friendly faces eager to meet and greet visitors whose patronage is essential to the local economy. 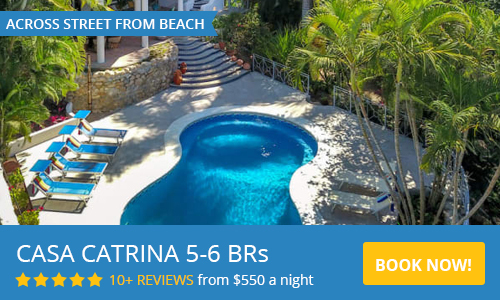 The homes, villas, and rental units are privately owned with no corporate multiple-story hotels or all inclusive resorts which in turn facilitates a very strong sense of community in Sayulita. That being said, over the last decade Sayulita has experienced an increase in popularity and unfortunately, the possibility of crime does exist. At certain times of the year, Sayulita experiences a large, although temporary influx of people, along with some rare reports of crime. As with anywhere in the world, it is prudent to be a wise traveler by following these safety tips. Don't wear flashy jewelry, or carelessly display large amounts of cash or expensive electronics such as cameras, iPhones and tablets..
As with anywhere in the world, use caution when walking late at night. Travel in groups and avoid poorly-lit areas. Be aware of your surroundings and your own behavior. Although rare, there have been instances of violent crime. However, most crime in Sayulita is petty theft brought on by need and opportunity. An unlocked casa, gate or window, with valuables in view, or the theft of personal belongings left unattended in a public place. As with anywhere you travel, keep your doors and windows locked and utilize the safe if your rental offers one. Sayulita is a family-oriented town; children are well taken care of and looked after. Almost all of the residents know one another making it easy to spot those from out-of-town or displaying suspicious behavior in our quiet, residential neighborhoods. Located on the Pacific coast just 45 minutes north of Puerto Vallarta, the tourist beach town of Sayulita is a world away from the U.S. border and the northern part of Mexico where violence is undoubtedly more evident in day-to-day life. The local police force in Sayulita is on 24-hour patrol of the town and surrounding area; these tourist police (policia turistica) keep our streets and beaches safe at night and enforce laws regarding drug possession and other crimes. The emergency equivalent to dialling 911 in Mexico is 066 from any standard line and 080 from a Mexican cell phone. The Sayulita area has recently implemented 911 for this area, so you can call 911 in an emergency. It is important to keep these numbers handy to help keep you and your family safe while visiting Sayulita and traveling throughout Mexico. 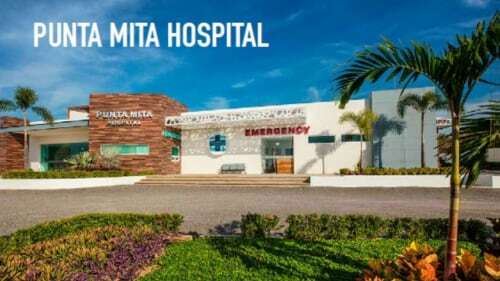 As in any locale around the world, there is petty theft and other minor crime; however, the community of Sayulita has come together to help reduce these types of crimes and to increase security in general by forming neighborhood watch programs and stipulating a midnight closing time for all bars and nightlife in Sayulita. Take precaution and use common sense while visiting. Don't travel with unnecessary valuables. Use provided safes in your vacation rental home. Close and lock all windows and doors when going out. Do not leave any valuables visible in parked cars. Sayulita is safe. 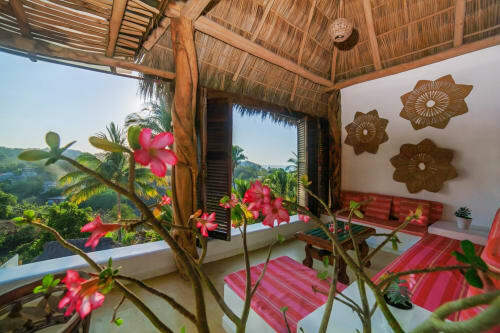 By taking responsibility for yourself, your family and possessions and employing common sense, your stay in Sayulita will be a fun, enjoyable and memorable experience. Most of our guests will return soon to visit or perhaps make Sayulita their home as so many already have.